DataCal keyboard templates are made of durable polycarbonate and are printed sub-surface for years of use. Keyboard templates lay over your existing keyboard making common commands easier to perform. Templates are easy to move and stack - perfect for keyboards with multiple uses. 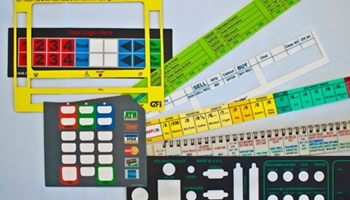 DataCal can also design and manufacture custom keyboard templates for your specific application. Call 1-800-459-7931 for custom needs.